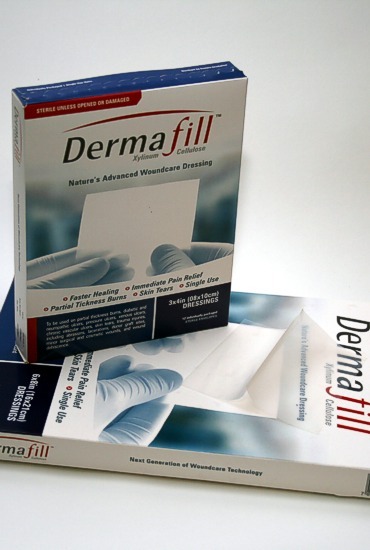 DermaFill is a form of cellulose. A naturally occurring substance that resemble the body’s own collagen. When you have an accident, the body creates collagen to heel the wound. DermaFill closely resembles the body's own collagen. When you have an accident, the body creates collagen to heel the wound. DermaFill closely resembles the body’s own collagen. Membranes are individually packaged in sterile envelopes and shipped in boxes of 12 envelopes.